In 1915, flour production in Minneapolis peaked at about two million barrels. From there, the mills started a slow descent from world leadership to only a memory of their former glory. 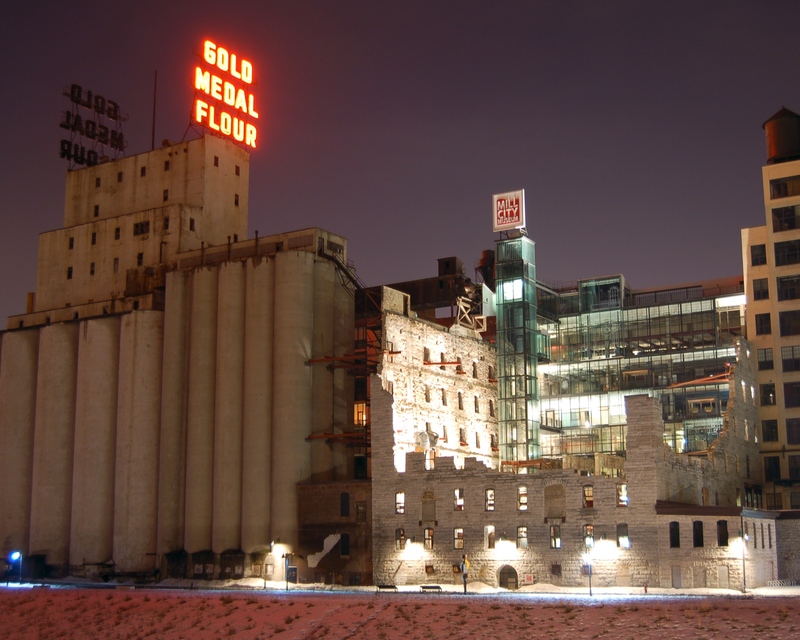 In 1880, Minneapolis was known as the “Flour Milling Capital of the World,” or simply, “Mill City.” In 1928, a number of mills formed together into one company, General Mills, and from then on the two names most associated with milling would be General Mills and Pillsbury. After World War I, flour milling in Minneapolis entered a period of significant decline. By 1930, the great Mill City had become a shadow of its former self. 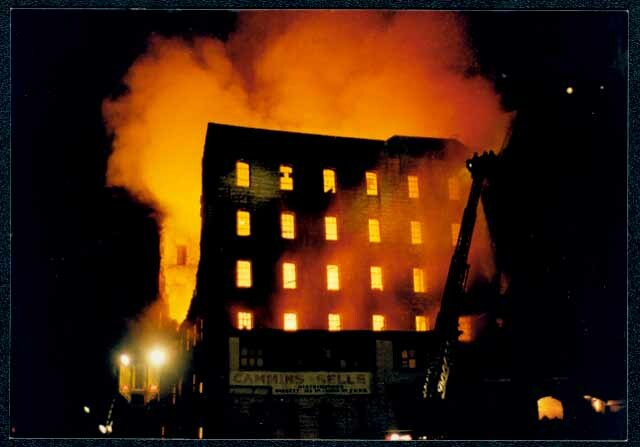 The early advantages of Minneapolis mills - power provided by the falls and their innovative milling techniques - ceased to provide a competitive edge. The Red River Valley was experiencing declining crop fertility and the southeastern farms began adopting harder wheat varieties. While a few millers kept their headquarters in Minneapolis, such as General Mills and Pillsbury, most millers moved away from Minneapolis. Although few true millers remain in Minneapolis, the city has found ways to honor its heritage. 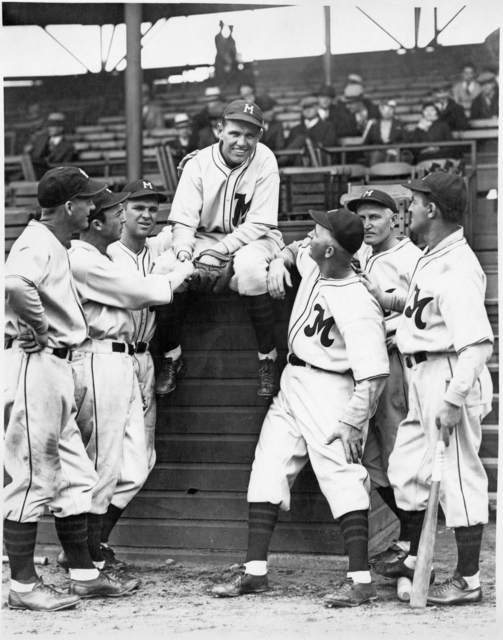 For nearly eighty years up until 1960, Minneapolis' baseball team was called the Millers. 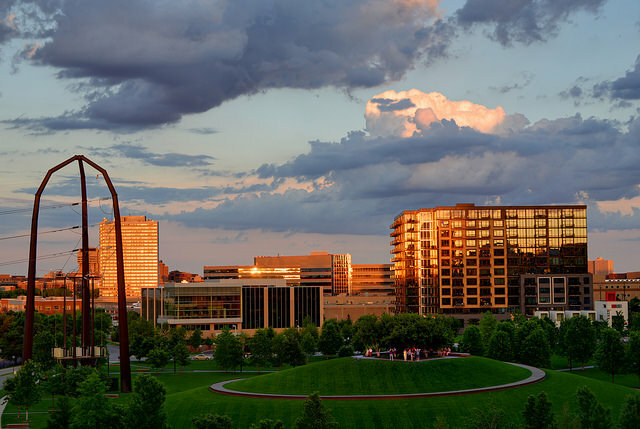 The city’s Gold Medal Park, named after the Washburn-Crosby company's award-winning flour, was opened in 2007 and borders the old milling district and St. Anthony Falls. The Washburn A. Mill closed in 1965 and when it was destroyed by a fire in 1991, the Minnesota Historical Society converted it into the Mill City Museum. The museum hopes to lead visitors to discover how the milling industry of the city “transformed a region and influenced our world.” Currently, the museum is in the process of preserving the Washburn-Crosby Elevator No. 1, one of the first and largest circular grain storage units. From the southeastern pioneer farms to the northwestern bonanza farms, from St. Anthony Falls to the city’s milling district, the rich wheat farming and milling industries are heavily integrated into the city’s legacy. These living memories, the museum and the park, show that Minneapolis strives to preserve more than a mill; the city is preserving its history and the legacy of wheat and flour in the city. Takuya Amagai, Sahree Kasper, and the Minnesota Environments Team, “Legacy of Milling,” Minnesota Environments, accessed April 26, 2019, http://mnenvironments.carleton.edu/items/show/29. On flour production numbers and years, see David Danbom, Minnesota History Magazine (St. Paul, MN: 2003), 58, no. 5-6 (2003): 270-85, "Flour Power: The Significance of Flour Milling at the Falls."